Few 18th century women other than royalty have managed to capture the public imagination quite like Emma Hamilton. Hers is a true rags-to-riches-to-rags story made popular through the media of her time and revived every so often through books about Horatio Nelson and, more recently, serious biographic studies of her own person. There have also been films, the most notable of which was Alexander Korda’s That Hamilton Woman (1941) starring our own Vivien Leigh. Emy Lyon (also called Emily, Amy, and later Emma Hart before she became Emma Hamilton) was born into poverty in Cheshire on April 26, 1765. Little is known about her life as a child, but we do know that socioeconomic prospects for females of Emma’s station were very slim. In order to improve those prospects, Emma and her mother moved to London in 1778. They settled in Covent Garden, a central hub of art and theatre – but also an area of paupers and prostitutes. Emma found employment as a domestic servant first for physician Richard Budd and then for the household of composer Thomas Linley. It was during her time with the Linleys that Emma likely first developed skills as a performer of the “attitudes” that would make her famous. You must have seen, lately, his wonderful portraits of glamorous ladies pop up on different sites on the internet. 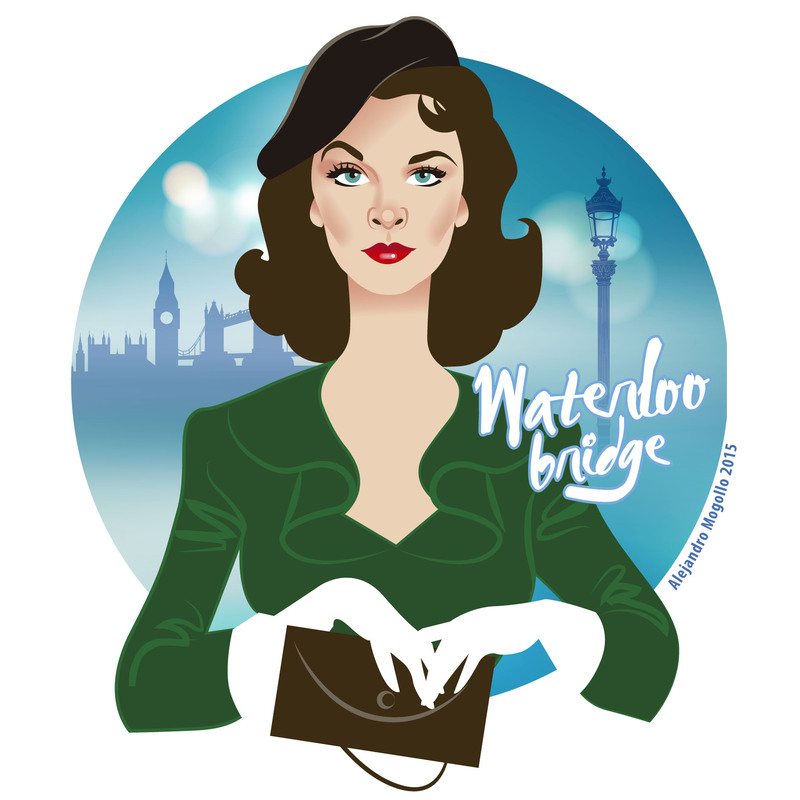 Queen Madonna herself retweeted the latest portrait he has drawn of her…But what interests us, here, is that Alejandro Mogollo Diez is a great admirer of Vivien Leigh. He is following our page from his hometown, Sevilla (Spain). And he has put his art in action to celebrate our favorite star’s beauty. We wanted to know more about him, so we sent him some questions and he answered very generously and even let us present some new drawings, in exclusivity… Fiddle dee dee. Alejandro, can you tell us more about you? Can you tell us more about these personal projects and why you have started to share and post your drawings on the internet? Although my job is fulfilling and requires creativity on my part, I sometimes miss the shear pleasure of drawing. The illustration software is so sophisticated now (Adobe Illustrator) that it allows me to create images very close to the organic ones, giving it a distinctive touch, close to airbrush. The process, though digital, remains the same, beginning with the blank canvas, but replacing the pencil or brush with the mouse. In those personal projects I wanted to blend my two passions, graphic art and movies. So I started doing these movie portraits that I shared only with friends, just for fun. Then I started sharing them online. One of the first blogs I followed was Boy Culture, run by Matthew Rettenmund. Because I’m a fellow Madonna fan like him, I once sent him an illustration I did of her and he loved it. You seem to be a great fan of movies and of the star system? How did your passion start? I have four sisters and a brother and, since my parents were movie fanatics themselves, we were all exposed to classic cinema from a very young age. Also, unlike today, many of these classics were actually shown on TV on a regular basis. The first memory I have of my obsession with movies happened one afternoon when I came back home from school. I was probably 7 or 8 years old and they were showing Gentlemen Prefer Blondes. I was instantly awestruck with Marilyn Monroe, although I didn’t know who she was at the time. Imagine a little kid who hated outdoor activities and sports suddenly encountering this film. The whole look of this movie appealed to me big time. Like Alice in Wonderland, I wanted to cross the TV screen to escape to that world of wonder, fantasy and glamour. I belonged to that world. As I grew older I started to get interested in the moviemaking process. As a teen I read everything from essays to biographies of movie directors to learn about the craft and about its history. I also played with the process myself and did some short films in Super 8. I loved all the european “auteurs” like Truffaut, Visconti, Fellini, and mainly Bergman, my favorite, but at the same time I was fascinated by the golden age of Hollywood and its stars. I remember my father complained I spent my whole monthly pay buying books about old movie stars and started drawing them compulsively. I understood his concern, not only is art a hard sale, but also who would be interested in portraits of old movie stars, right? He preferred I stick to landscapes and still lives, which I hated. I consider myself a movie buff. Don’t ask me about my favorite movie because there are too many. To give you a hint: All about Eve, The Apartment, Brief encounter, La Nuit Américaine, Adam’s Rib, The Godfather, Blade Runner… the list would be endless. 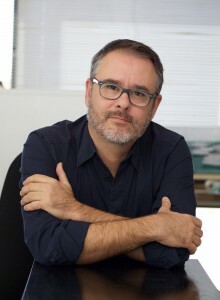 If we talk about today’s cinema there are plenty of directors I’m excited about, like Pedro Almodóvar, Michael Haneke, David Fincher… Although I love the moviemaking process and I’m interested in how a movie is made, I still enjoy movies first and foremost like a little kid, completely immersed in that world. Like Alice. 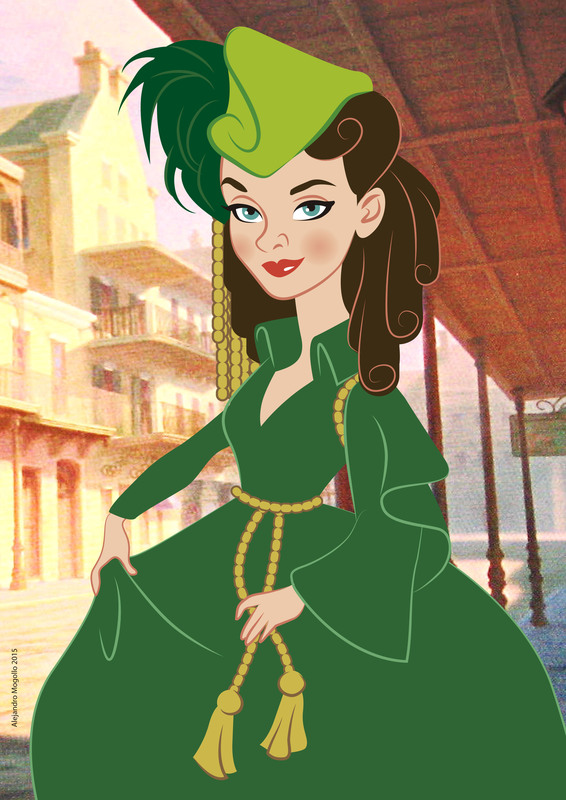 How did you first discover Vivien Leigh? It’s kind of a funny story actually. In 1980 there was a rerelease of GWTW in Spain. I was 14 years old and had never seen the movie or even acknowledged its importance. I had bought this movie magazine that featured the famous Laszlo Willinger photo of Vivien (the one in Kendra’s book cover) to announce the rerelease. My older brother insisted I should see that movie, he thought I’d love it and pointed out at the photo to say how beautiful the lead actress was. Most beautiful woman ever, he declared. I went to see the movie with my sister and her then boyfriend but it was sold out. I was pissed off but didn’t think any more about it. Only that everyone around me kept talking about the movie, and my brother kept insisting I’d try again and bragging about Viv’s beauty and talent. I started developing a grudge about the whole thing and arguing she wasn’t that beautiful. “She looks like a bad witch“ I ended up saying, surely to get back at him for not leaving me alone. 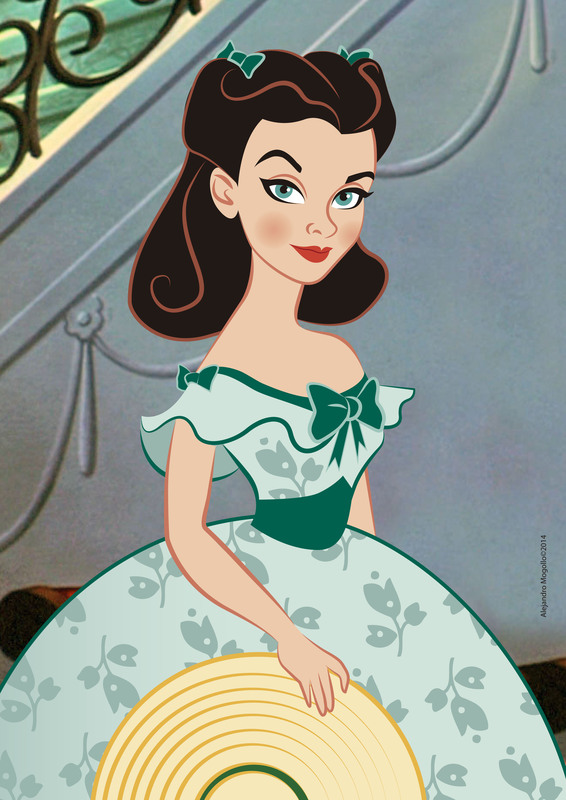 I said I knew if someone was beautiful or not, and he wasn’t the judge of that, and he was completely wrong with Vivien. Yeah, I was a stupid brat. Finally, a couple of days later I went to see it on the big screen, and boy, it changed my life. I had never experienced such a thrill at the movies, and Vivien was everything my brother and the rest had said and even more. I was in love. I came back home completely enthralled. When my brother asked me how it went I couldn’t hold it any longer, forgetting my pride and everything I had said, I told him he was absolutely right, Vivien Leigh was the most beautiful woman ever. To this day, my brother still laughs at me about it. What continued your admiration and fascination with her? Once my fascination had started, I read a biography and tried to collect as many magazine articles that featured her as possible. I also watched all of her movies (the ones available in VHS) and all her portraits. I was never really interested in the personal life of stars. Many of them just focus on the tragedies of their lives and contain a great deal of gossip. I prefer to read about their work, that’s what inspires me. The making of a movie, with its creative process and obstacles really resonates with me. 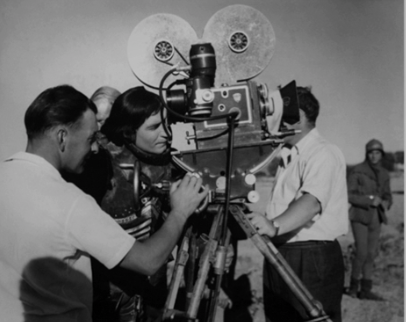 A high point in that regard was the wonderful documentary about GWTW “The Making of a Legend”. 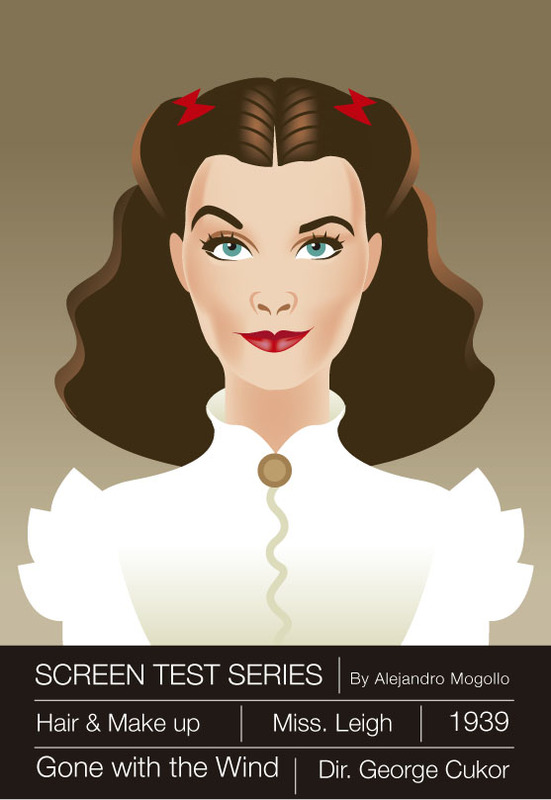 Watching Vivien get the grip of the role from the screen tests to the final movie was so thrilling. It built my admiration for her as an actor. 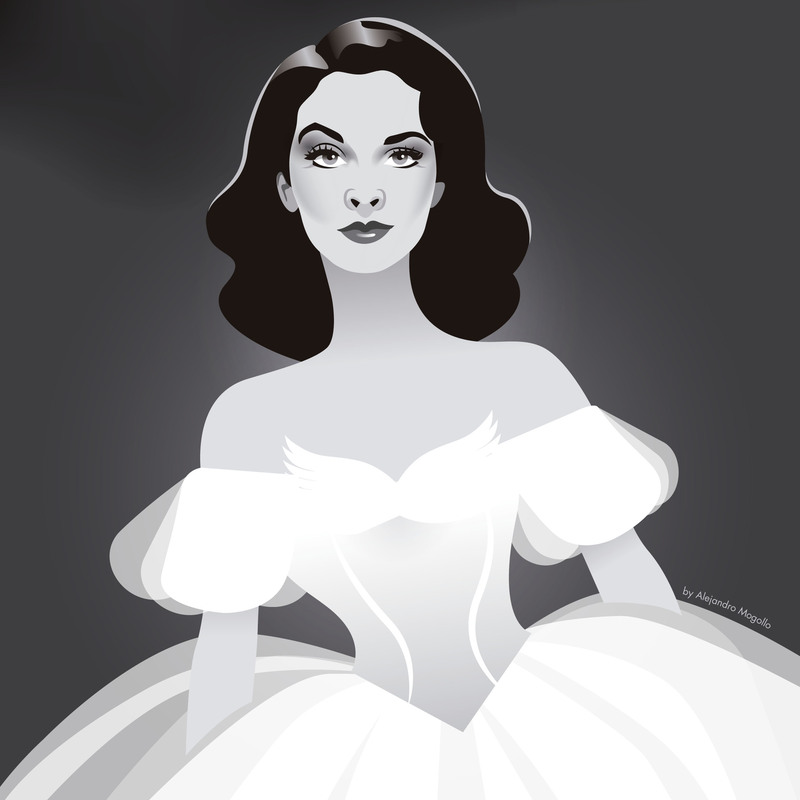 Drawing Vivien Leigh! How would you describe the experience? I probably started drawing her right then and there. She is a very difficult subject to convey. Her beauty is not static. Unlike Hedy Lamarr or Lana Turner, whose classic beauty can be measured in a still photo, Vivien had this sparkle that pierces the camera. You are not sure what it is but it cannot be easily grasped. So my first attempts were unsuccessful. Although it didn’t stop me for trying. That’s the reason I tried different styles throughout the years. Trying to capture what makes her special is a tough task and one that requires every skill you had and every medium. I tried watercolor, pencil, acrylics and then when I began exploring computer graphics I used every tool that the digital world allowed. The secret of her beauty? In terms of beauty, she is like this delicate, exotic butterfly that you are afraid to approach for fear she would fly away. Many times I have been drawing her thinking I had got it, to realize in the end that the resemblance had vanished. It is quite frustrating, but imagine the joy when you succeed! Can you share a bit on the process behind your drawings? I don’t like to use a single picture of her and try to copy it. I gather all the pictures I can get of the subject and try to determine what appeals to me in them. The drawing process can take a few hours or even days, depending on what I want to accomplish. I usually start composing and framing the figure roughly and then start with the face right away. The eyes are my main concern because once you get them, the rest fits into place. As it happens in my case, the illustration eventually starts to speak to me, telling me what it needs until I decide it is done. I am almost never completely satisfied with the result, so I’m not a good judge of my work. It’s only when people start praising them that I think I’ve succeeded. But for me as an artist the most important thing of the process is that the final result be unique, not an exact replica of an existing photo or pose, but an original interpretation of the subject that has also my personal style attached to it. That way there’s this strange communion between the subject and the artist. At the end it’s not just Vivien, it’s my Vivien. For more of Alejandro’s work, follow him on Facebook and Instagram. 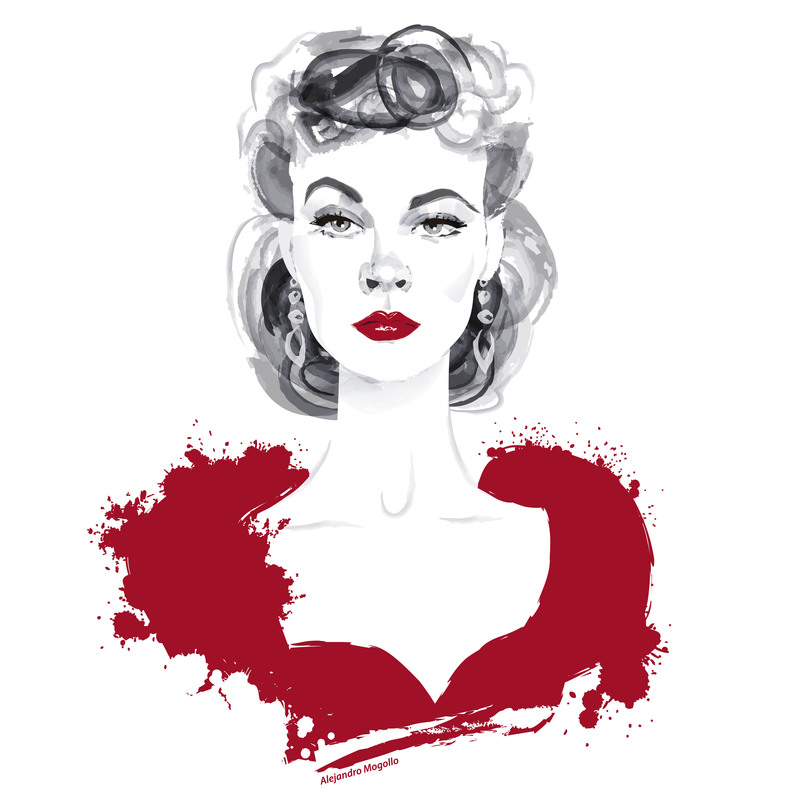 You can also purchase shirts, mugs, iPhone cases, totes and prints featuring his illustrations of Vivien and other old Hollywood stars in his online shop (a great gift idea for the holidays). 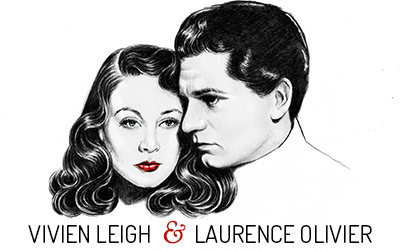 Richard III is one of Laurence Olivier’s most critically acclaimed films, both as an actor and director. Filmed in Spain in 1954 with interiors shot in England, it is the third film in what is now known as the Olivier Shakespeare Trilogy (out on Criterion Collection). While information about Olivier’s life in England is abundant, his time in Spain is less well-known–until now. 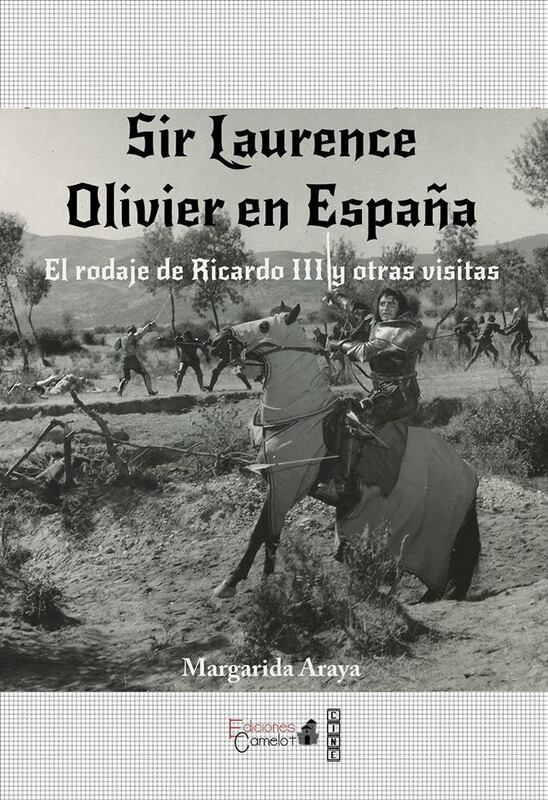 Here, Tanguy Deville interviews theatre historian, author, and Laurence Olivier expert Margarida Araya about her debut book, Sir Laurence Olivier in Spain. Tanguy Deville: Can you introduce yourself briefly and tell us how you became interested in Laurence Olivier? Margarida Araya: I’m from Barcelona and I’m a translator and an Air Navigation Technician. I started to get really interested in Laurence Olivier (I had seen some films before) when I watched The Entertainer. It contained everything I liked: theatrical references, a looser character and a great performance. 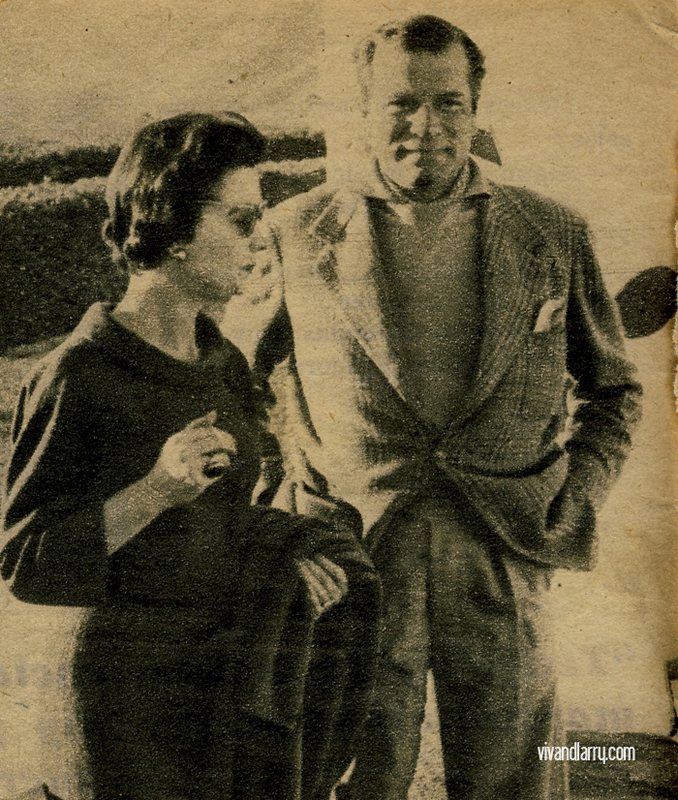 Then I started to look for information/photos of him on the Internet and discovered what a glamorous couple he and Vivien Leigh made. TD: How did the idea of the book come about? MA: I always love to investigate things. I started to investigate (through newspaper libraries) if LO had even been to Barcelona. Then I started to find about the shooting of Richard III near Madrid and the Oliviers’ holiday in Andalucia. When I had compiled a lot of information I decided to create a small site to share it. I kept on investigating (travelling to Madrid and to the British Library in London) and after discovering some interesting facts I thought that they deserved to be published in a book. So I sent my proposal to different publishing houses and then a friend put me in contact with Camelot. TD: We know a lot about the Oliviers in Italy, and in France. Their stay in Spain is less well-known; very few biographers have investigated it. Why is that? MA: They only came to Spain on holiday once so there is much more documentation of them in Italy. TD: How did you work on the research? MA: My main research has been through Spanish newspaper libraries (online and physical). 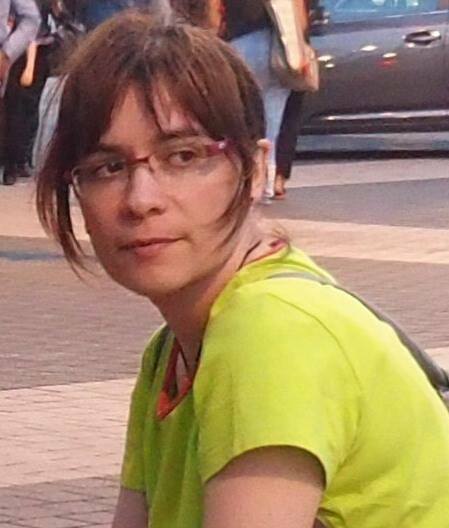 I travelled to Madrid to visit the zone where they shot Richard III and I contacted several towns in the zone, but just one (Torrelodones) gave me feed-back and helped me answer a couple of questions. I also went to the British Library in London where I could read Olivier’s personal diaries. 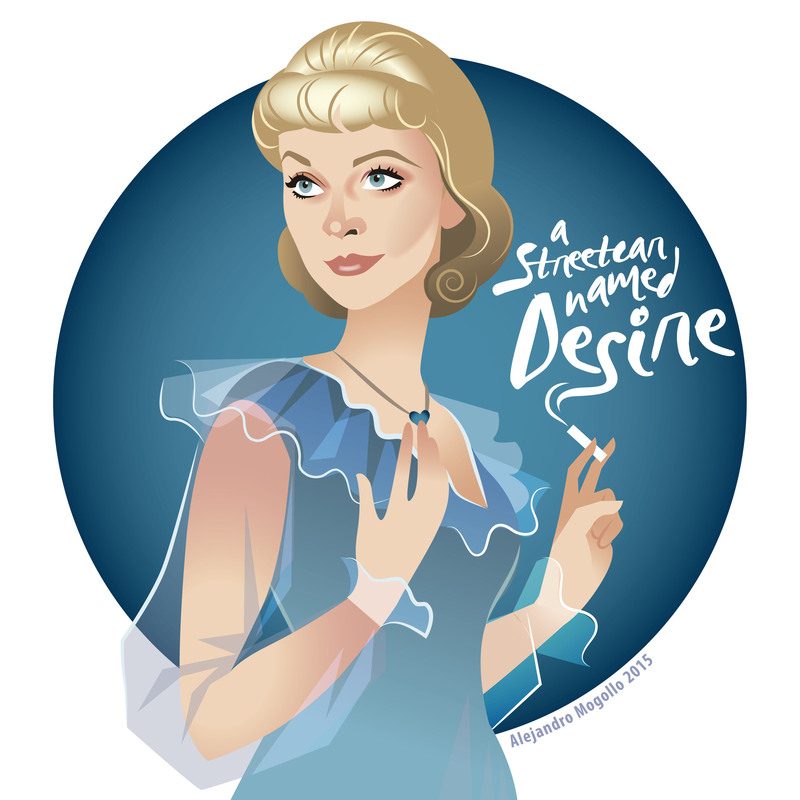 TD: Were the Oliviers big stars in Spain at the time? MA: The Spanish press was quite disconnected from the rest of the world; they hardly knew anything about the Oliviers. They only knew them from being the stars of Hamlet and Gone With the Wind. In my book I reproduce some original interviews and they are very naive. TD: Why did Olivier decide to film Richard III in Spain? TD: The Oliviers made many trips to Spain. What did they do and who did they meet there? MA: There isn’t much information about their visits in the Spanish press. These were pre-paparazzi times! They met Lola Flores, the flamenco dancer, during the shooting of Richard III. During their holiday in Andalucia they also meet Antonio, another flamenco dancer, so we can guess they really liked flamenco! They visited several Andalucian towns and they even went to the cinema to see a Spanish movie. MA: Yes, and Olivier claimed his was the first international production to do it. After him came Orson Welles, the Samuel Bronston productions and Kubrick’s Spartacus*, for example. TD: During the writing of your book and the research did you make some interesting discoveries? MA: I can’t tell you about the main discovery, it’s a secret! (It will surprise Spaniard readers.) But I can tell you that in many interviews LO said he had been in Spain before August 1954, and I couldn’t find any reference of this trip. One day, by chance and through a Marilyn Monroe book, I saw a photo of him standing in front of a Spanish sign. I was lucky to find the Spanish magazine that had published that photo. They even interviewed him. This visit was confirmed in his diaries. TD: Richard III is considered to be the greatest part of Olivier’s (specially on stage). What is your opinion of that movie today? MA: When I first saw the movie it surprised me to see it had a comical tone and I immediately fell in love with Richard. I think it’s a combination of his two previous Shakespearean films. The first part is very theatrical and then, we have the ‘Spanish’ part with a lot of real action. The cast and the rhythm are great. I’ve seen other Richard III versions but I stick with Olivier’s. TD: After their divorce, did Larry go back in Spain? What about Vivien? MA: Yes, Larry came back to Spain many times, with Joan Plowright, to spend different summers in the Balearic Islands. 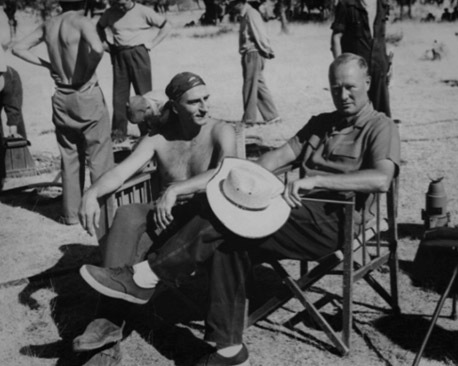 He was also in Costa Brava for two days filming Nicholas and Alexandra. I centered my research on Larry so I can’t tell you for sure if Vivien came back to Spain, but I haven’t seen her name in any subsequent document. 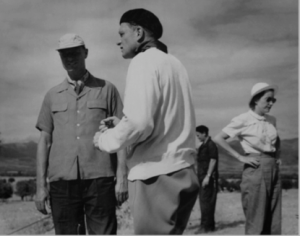 Sir Laurence Olivier en España tells us why the British actor and director Laurence Olivier (1907-1989) chose “those stunted Spanish trees and the silver grass” to shoot part of his film Richard III near Madrid in 1954. Despite its secrecy, and thanks to certain documentation such as Olivier’s personal diaries, some mysteries of the shooting are revealed. We also have access of several interviews given by Olivier and his then wife, the actress Vivien Leigh, to the Spanish press in 1954 as well as on his later visit, on holiday in Torremolinos, in 1957. 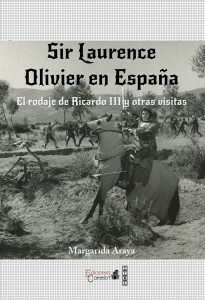 Sir Laurence Olivier en España is published by Camelot and is available in Spanish, with an English language version coming soon. Margarida Araya also runs the Sir Laurence Olivier Stage Work website and the wonderful Sir Laurence Olivier Fan Page on Facebook. It was pouring down rain when I arrived at the Victoria and Albert Museum on the morning of November 5. One of the museum’s press officers met me in the lobby and escorted me up the stairs, through the darkened jewelry exhibition, and into the Theatre and Performance gallery. I was there to see curator Keith Lodwick, the lucky person overseeing the newly acquired Vivien Leigh archive. Having met Keith a few times prior to this meeting, I was looking forward to an interesting and lively discussion about the selection of material currently on display to commemorate Vivien’s centenary. He didn’t disappoint. 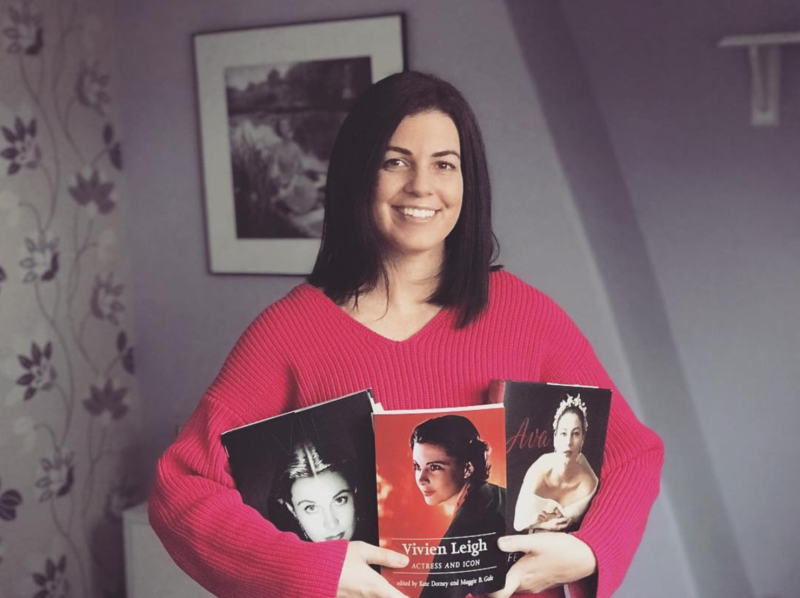 Keith’s passion for his job is palpable; a plus for researchers doing work in the Theatre and Performance archive at Blythe House, as well as Vivien Leigh fans who have been and will be lucky enough to hear him talk about the treasures in his care. Vivien’s papers had been handed down from her daughter, Suzanne Farrington, to her three grandsons. The V&A entered into negotiations for the acquisition in 2002, but the Farrington family suddenly withdrew for undisclosed reasons. Luckily, the negotiations started again in 2012 and the collection was purchased for an undisclosed sum earlier this year. As an international celebrity, Vivien’s cultural appeal remains as prominent in America as it is in Britain. Keith mentioned that Suzanne came in to the museum not long before the display went up and said that she was glad the papers stayed in the UK to be preserved for the nation. There are over 10,000 items in the archive, including press cuttings books compiled by her mother Gertrude Hartley, diaries beginning in 1929, thousands of photographs (including 1000 color stereoscopic slides taken with Vivien’s own camera in the 1950s and 60s), over 7,500 letters, awards, and other ephemera. The divine Olivia de Havilland celebrates her 97th birthday today. She is one of our greatest living film legends. Her career was quite extraordinary. A two-time Academy Award winner, she starred opposite many of the most popular leading men in Hollywood history, worked with some of the most acclaimed directors, and, perhaps most impressively, served her studio, Warner Bros., with a lawsuit over contractual obligations. Passed in 1944, the de Havilland Law stipulated that studios could not add extra time onto the end of stars’ seven-year contracts. Despite her two Oscars for The Heiress and To Each His Own, de Havilland is perhaps best-known today for playing Scarlett O’Hara’s angelic sister-in-law Melanie Wilkes in Gone With the Wind. She is the only surviving main player from the film, and as such, her memories are cherished by many fans. 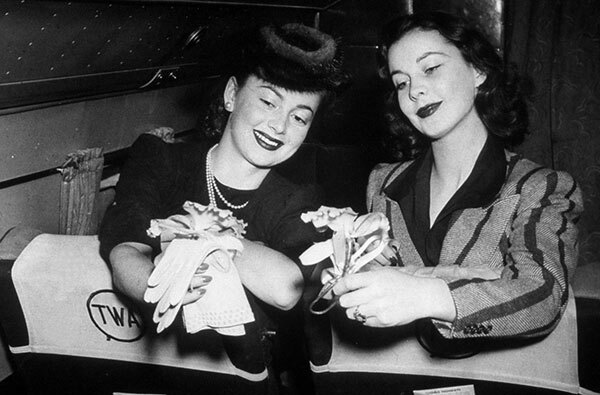 De Havilland has been very forthcoming over the years about her association with the film. 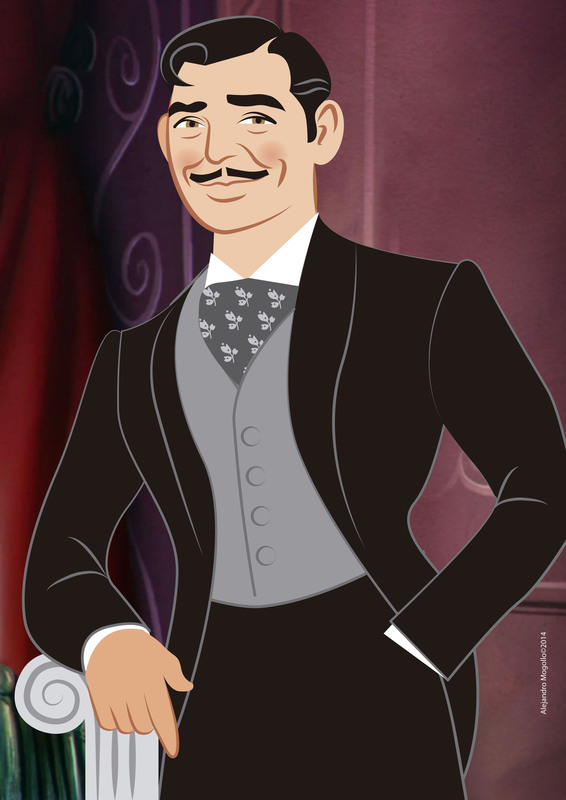 While many, including Vivien Leigh, envisioned that the outcome of Selznick’s epic would be disastrous, de Havilland stipulates that she knew they were making something special. I was lucky enough to interview Olivia de Havilland whilst writing Vivien Leigh: An Intimate Portrait. She kindly answered my questions in writing from her home in Paris, revealing her sharp mind and a knack for tactfulness. Her character really shines through here. Notice how she is never condescending or malicious in her assessments. One of the things I appreciated most was her honesty about how well she knew Vivien after GWTW. It’s easy to claim we know more about certain situations than we really do, and I think her admitting she wasn’t able to answer certain questions really adds to her credibility. Below are the signed covering letter and answers to my questions. The sections that are blacked out were chosen to appear in the text of Vivien Leigh: An Intimate Portrait.